Top 5 Tips to look for when hiring a Security Guard Services Company in Ontario | GF1 Security | Brampton | Mississauga. When it comes to selecting a security company, keep in mind that you’ll be trusting this company with more than your keys. 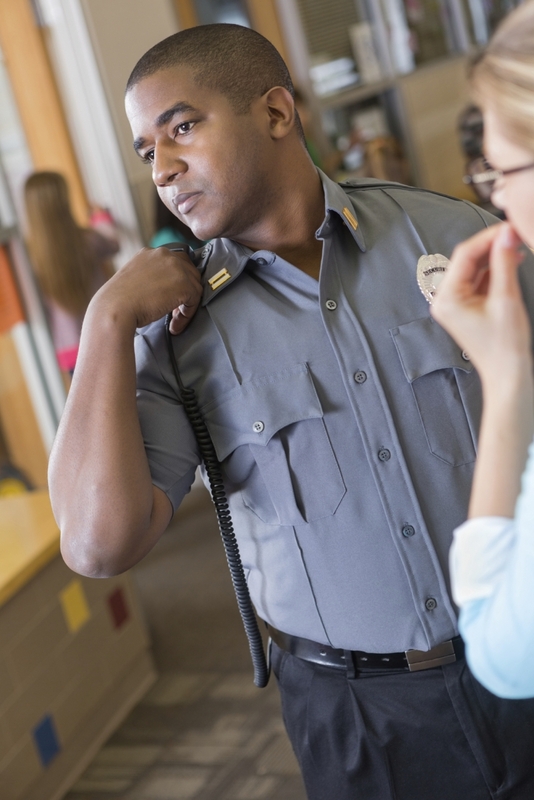 Make sure you’ve evaluated your security guard services provider thoroughly before you hire a security guard. You may not be aware that certification is an absolute must in Ontario, by law. Whether you operate out of Brampton, Etobicoke, or anywhere else in the GTA, you should always make sure the security company you select can show you credentials for the company and their employees. It goes without saying that you don’t want Bob from down the hall to keep an eye on the security cameras during commercial breaks or when he’s out of soda. Look at the background of the company and their experience. Where do they operate regularly? Have you seen their services around town before? Check the Better Business Bureau website for unresolved claims and issues related to the companies you’re interested in. It’s one of the quickest checks you can run, but important and eye-opening. LinkedIn is a good resource for business partnerships, but if you’re looking for personal services, check Twitter and Facebook to see what other people are saying about the company in question. If you participate in those kinds of things, post on their Facebook or Twitter page and see how quickly they reply. Some companies are meant more as monitoring solutions than full suite security. They may just swing by and set up a few break-in detection devices and call it a day, passively waiting for a break-in to occur. This may be just fine if you’re looking for basic home security to bring down your insurance premiums, but if you’re looking to protect a construction job site or commercial building, you’ll likely need something a bit more in-depth. You definitely want to make sure the company you use is certified. If the security company doesn't have certification then it's probably one you want to avoid and not trust. Always check and make sure that they are able to be trusted before you loose out on a lot of money. I really like your fourth tip in the article because not a lot of people would think to check for company reviews on Facebook or Twitter. However, because of the ease of access most people have to these sites, they really are the easiest way to determine whether or not a company is worth your time. I also like how the article suggest commenting yourself and seeing how long it takes to get a reply; it's a great way to judge their responsiveness.